basically the same as that of the swing-check valve. 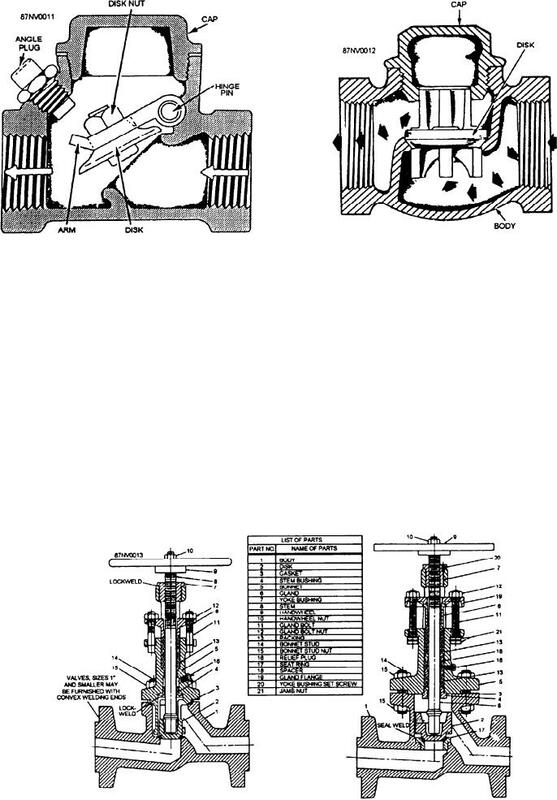 system will operate the valve in the proper manner. up-and-down direction instead of through an arc. on the inlet side is greater than that on the outlet side. screwed or bolted caps, and for specific pressure ranges. classified as either stop valves or check valves.